Looking for canoe or kayak rentals in the Glens Falls region? Want to try your hand at stand up paddleboarding? Or perhaps you want to run the rapids on a whitewater rafting trip. 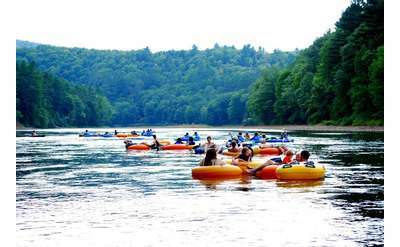 There are numerous companies near Glens Falls that offer guided canoeing, kayaking or rafting excursions, as well as canoe, kayak and SUP rentals and sales. Whether you are trying paddling for the first time, or you want to buy a new canoe or kayak, visit the companies below and get started on a new adventure!